We’ve been away from Maine for 3 weeks now. But just because we’re in our hometown on the East Coast for a family simcha, Chanuka, and Thanksgiving, doesn’t mean that we don’t have Maine-like adventures! Today we went on a nature walk along a river located about 2.5 miles from my home. The packed-dirt path is frequented by lots of people walking their dogs; joggers; and families out for a stroll. It’s a very beautiful area with heavy tree cover (unless you are hiking in late Fall, of course, and the leaves have dropped), and even though it’s off a main road, after about a mile you lose the sound of traffic completely and instead hear only birdsong. So there we were, walking with our dog, when we noticed several downed trees due to a nasty storm a few months earlier. In order for the path to remain unobstructed, the branches and trunks had to be chain-sawed and pulled off the side of the path. But in some cases the trees were so massive, that a chainsaw would not do it. Clearly heavy equipment had been brought in, and alongside the road the trunks, more than 36″ across, had been sliced neatly into 3″ thick pieces and stacked. I convinced my husband that we really needed a coffee table and this would be so easy to make. I could rent a belt sander from Home Depot and smooth out the surface; I could use a pressure washer to clean the mud from the craggy bark; I could polyurethane the table top, and we could take one of our thicker unsplit logs from our woodshed in Maine and mount it to the newly envisioned table top as a base. The only problem was that by now we were about 1.5 miles from the trail head and the massive piece of trunk weighed about 150 lbs. The only things that were rolling at that precise moment were my husband’s eyes, along with a look of utter disdain. Despite the look on his face, my husband (says he) loves me! “You have got to be kidding,” he said. But one look at me and he knew that I was most definitely not kidding. I was going to make this happen! There was a small detail. 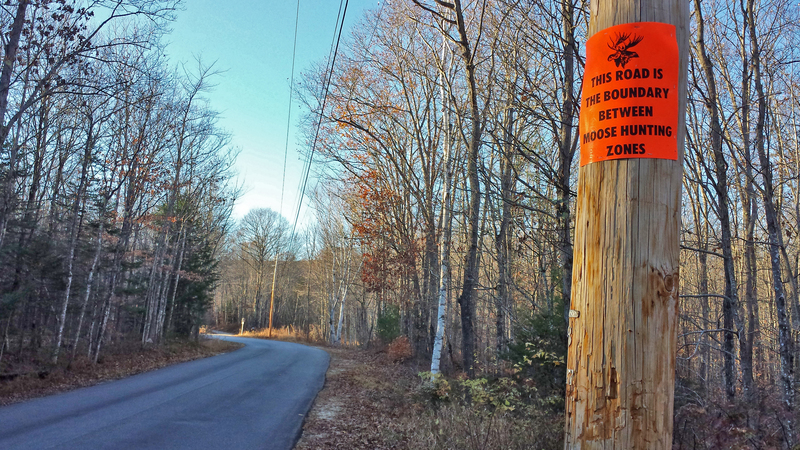 It was 33 degrees outside, the path and wood were uneven and muddy, and I lacked gloves. “Not to worry,” I told my husband, “I will roll the entire 150-lb piece of wood by myself back to the car. But I will need to borrow your gloves.” Prior to this I had been keeping my hands warm and toasty in the pockets of my down vest, but the weather really was too freezing cold for log-rolling without gloves. “How can I let you do that?” my husband said, exasperated and knowing he was about to get a lot more exercise than he had planned on. Honestly and truly, I was not being manipulative. I had been doing some strength training at the gym to combat my osteoporosis, and I was kind of looking forward to the challenge. 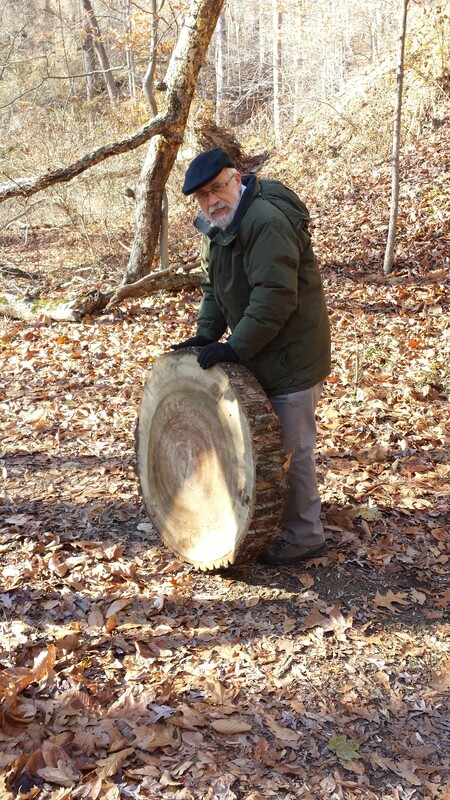 I figured as long as I kept the wood very close to my body and walked slowly, I could manage rolling this unwieldy, wicked-heavy, monster piece of wood. My husband wouldn’t hear of it. “You go waaay too slowly, and I don’t have the patience.” It was true — but what about the old adage of the tortoise and the hare? True, he did manage to roll it with some momentum and covered a lot more ground in the same amount of time as I could, but sometimes that big chunk of wood got out of control, careened wildly, and toppled to the ground. Let me tell you, picking up and righting a 150-lb piece of hardwood was no picnic, and it fell more than once. Also, because my husband was going faster, he had to stop and rest every 30 or so feet — so I’m not sure pokey old me was all that much slower at the end of the day. As we made our way through uneven ground, mud, and uphills, my husband became more and more distressed. “Please,” I’d beg, “let me take over!” But just then some people would meander by, and his macho side would take over. 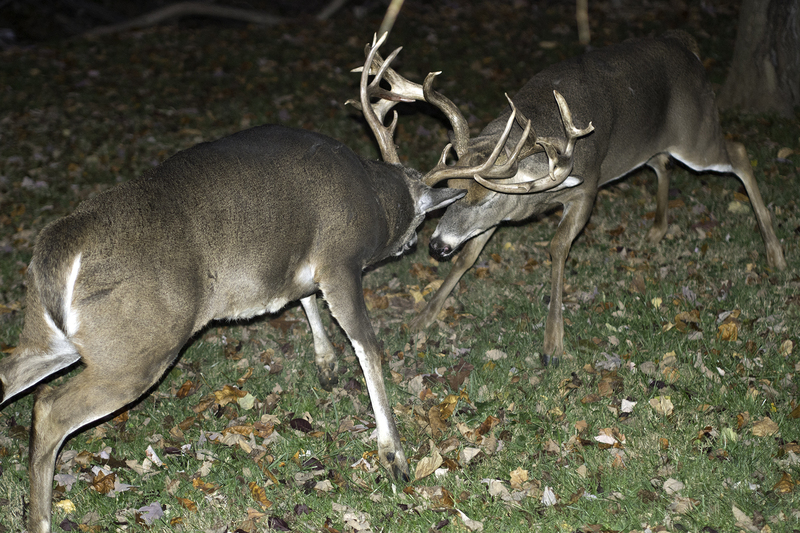 By now he wasn’t looking too good. 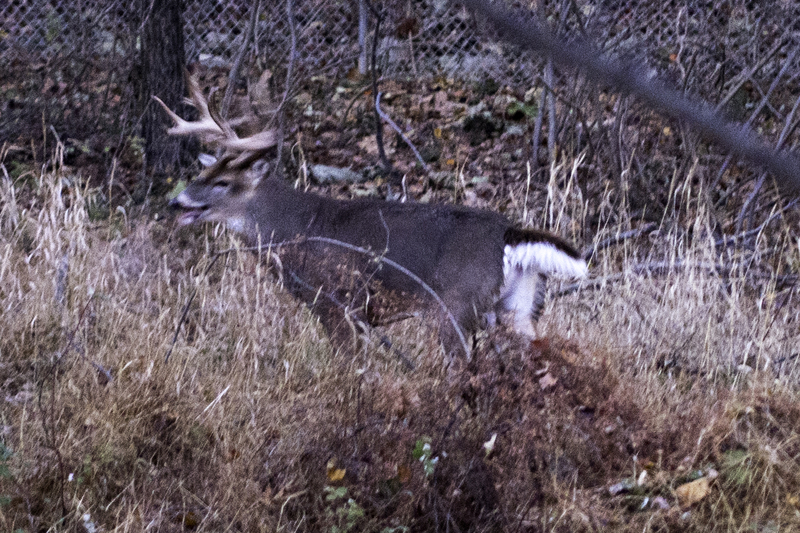 The rest stops were more frequent, and his face had a rather alarming ash grey tone. One strapping young athletic hunk passed us with his Swiss Mountain Dog, and offered to help. (“Yes!” I thought.) But my husband waved him off. Meanwhile, during the rest stops, people passing by were only too happy to contribute their remarks. My husband liked that one. So with his cross to bear, so to speak, we made it to the car in about 45 minutes of rolling, grunting, and resting. Luckily at that moment someone else was parking their car at the trail head and offered to help lift the slab into our car. “I know, right?” I replied. My husband gave her a dirty look, but I only grinned my happiest grin. P.S. When we got home I measured the beast: 34.5″ x 37″ x 6.5″ of solid hardwood. Yippee! 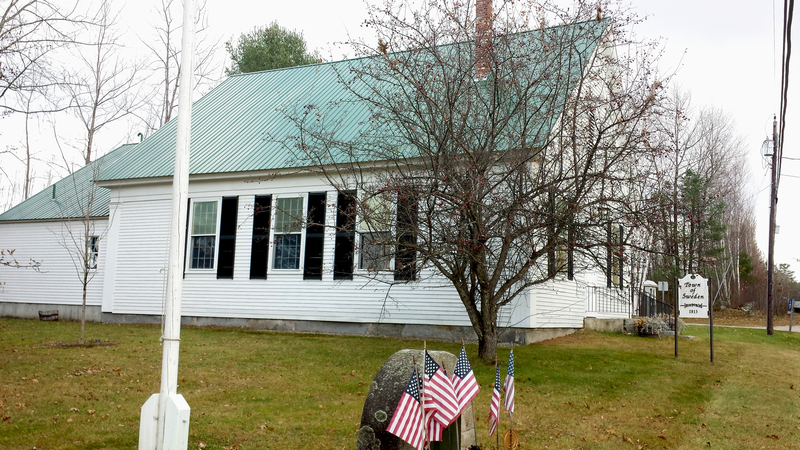 Veteran’s Day is a big deal in rural Maine. All the small towns have parades, dedications, and pot luck suppers for the Vets. Personally I try to call or email vets that I know and thank them for their service to our country. Truthfully, had it not been for our soldiers fighting the Nazis in WWII, I would not be here writing this very blog. By the grace of G-d.
My own father was a Lt. Commander of a fleet of LCIs (Landing Craft, Infantry) in the South Pacific during WWII. These small ships carried infantry very close to the shore, often under direct fire. From there they disembarked, fully and heavily loaded with their weapons, supplies, food, etc. and attempted, mostly successfully, to roust the Japanese from the various islands they had occupied, but often at a terrible cost and loss of life. I just finished reading the short letter that Joe sent from Chicago relating that he had passed his physical examination for service in the United States Army. Somehow the letter did not leave me feeling blue or sad. Instantly my thoughts ran to the reaction and emotions of both of you, and I sincerely, deeply hope that you will have the courage to withhold your tears and agree with me that Joe should be in the service, and that you were fortunate to have made an education possible for him that was able to make him useful enough outside the Armed Forces so that he could be with you until this time. His enlistment in the service follows mine by two years less ten days. I’m proud that a brother of mine is in the fray with me. You know, folks, we Jews are in a peculiar position in this war. From past experience, we know that when the war has run its course, we will be severely criticized from diverse sources. There will be those who unjustly blame us for having started the war; there will be those who will falsely accuse us of being shirkers and evaders; there will be those narrow-minded, prejudiced individuals who will point to the number of our people who are serving in the supply divisions rather than on the front lines; there will be those who without foundation will remind the world that it was a Jew’s war, started because some few Jews were being persecuted. There will be countless numbers who unreasonably insist that all Jews should have met the same fate the world over. Our pained experience following wars and pogroms has been that anti-Semitism does not cease to exist; rather it grows; it grows. The infectious seeds of hate and prejudice that are sown during the months of war live on for many generations to come. Permit me not to overlook the both just and unjust accusations of the Jews who have been able to profit in a monetary manner from the conditions that war makes possible. Were all men intellectually fair and just, there could be no doubt that the Jews did not start the war – – they have bitterly learned that war does not operate to their advantage. It would be admitted that the war was a challenge to every human being the world over. It would be admitted that the world would be a less desirable place in which to live if the creed of the aggressors must need be adopted. Were all men true, they would agree that there are some shirkers and evaders in every race, but that the numbers among Jews that were guilty of this breach would be proportionately smaller than other peoples. Were all men unbiased, they would admit that the armed forces could fight no war without an efficient flow of supplies, and because of the experience of the Jew in the world of business and commerce, he is better suited for this particular type of activity. Also, there are a proportionately high number of Jews who are face to face with the enemy, both on land and on the seas. Were all men inclined to reason, they would substantiate the fact that the fate of the Jew was but a forerunner of what men of other religions and creeds would inevitably meet. Were all men reasonable, they would follow the teachings of their God in the love of man for man and of their equality in creation. Were all men just, they would not overlook the fact that even in a monetary way, the Jew has not advanced to a greater extent than has his neighbors. Some of our numbers have had the products and means of serving the government in a manner that would bestow profits. Statistics would prove that our people were not the greatest profiteers. I’m well satisfied with the truth of that statement. We need neither fear nor feel ashamed. Our position is well defended. When victory is ours, and the count is taken, Jews will be counted in every detail. We will have our heroes, our dead, our distinguished and our weaklings. I hope that it is better than an average record. I once heard a lecturer express, “To look like silver, a Jew must be pure gold.” Unfortunately, the sentence carries more than a semblance of truth. While it is nigh impossible to be one hundred percent pure gold, we can strive for that goal. That pretty well expresses why I am so proud to have Joe in the service. I know you must be too. Certainly it’s a heartache to have your children reach the stage in life when you can take pride in their accomplishments and enjoy the fruits of your strivings, only to have them snatched from your side for brutal conflict, but remember, folks, you are only one of millions. Pray that a merciful God will make his absence only a short, temporary leave and that Joe will soon return to the warmth of your fireside. I’ll repeat my previous expression that it is my candid opinion that Joe will be happier in the service than he was a civilian in times like this. True, his service to his country was at least as important at the Arsenal as it will be in the work that he now must turn to. Nevertheless, I wonder what must have been his feeling – – a young, unmarried man, physically strong and mentally alert, still out of uniform. With what heart could he have walked among his fellow men in civilian clothes, when he must have known or believed that many of them were silently wondering whether he was evading the service or failing to do his part? It will work a hardship on you to have him gone, I know. So many ponderous duties will be added to your already overburdened shoulders. Just do your best. It shouldn’t be long. Never have fear! Joe will be happy to be in uniform, and he’ll soon be back. Have faith! Have courage! If tears you must shed, then make them not tears of sorrow or of self pity; make them tears of joy and pride. You have every reason to be proud. Thank God that you have sons sufficiently fit that you can offer your country, as an expression of appreciation for the many bounties she has made possible for you and yours. As Jews and as Americans you are doing your part – – make Joe feel that you are happy that he is being given an opportunity to do his. My deep admiration and respect to Joe. May the good Lord watch over him, guide him, and bless him. From across ten thousand miles of ocean, I extend my warmest, firmest, most brotherly handclasp. I’m proud and I’m happy. We had driven along this country road in Sweden, Maine, dozens of times, but only now for the first time did we notice a small clearing with a sign, “Nevers Tomb 1837.” It was getting dark so we didn’t have time for much exploring, but I wrote down the information on the sign and marked the location so I could come back another time. 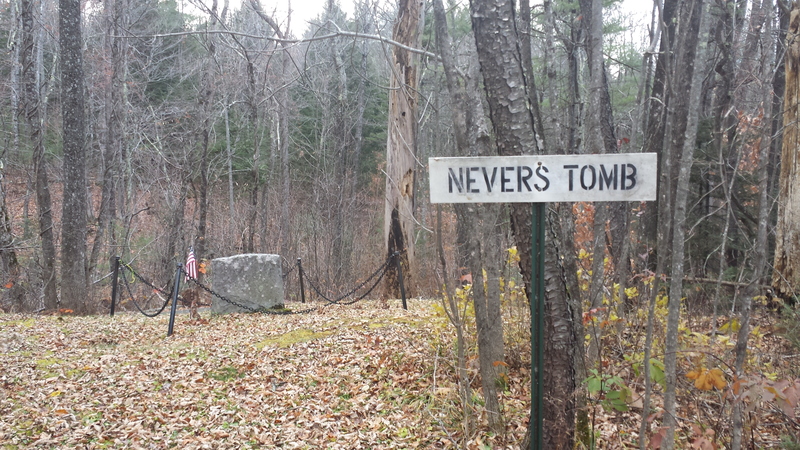 What I found was this: Samuel Nevers Jr. was the founder of the town of Sweden, Maine. He was born in 1766, one of 18 children; his father Samuel Sr. fought in the French and Indian War under the famous commander Robert Rogers (“Roberts Rangers”). At the age of 17, by then a privateer, Samuel Nevers Jr. was captured at the end of the Revolutionary War by a British warship and spent the next year of his life in forced labor. He managed to escape when the shipped docked in what today is Manhattan. He also fought in the War of 1812 and in various fierce battles against the Indians. He was honorably discharged with the rank of Colonel and given some acreage in what is now the town of Sweden. He made his way to Maine (which was then part of Massachusetts) and started clearing that land, occasionally traveling to Massachusetts to buy supplies for his property, where he built a log cabin. 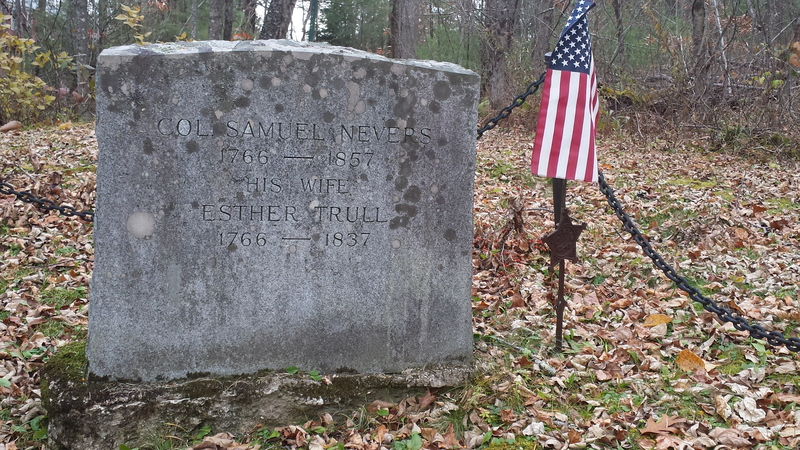 On one of these visits to Massachusetts in 1796, he met the love of his life, Esther Trull. The two were married in Massachusetts but forgoing a honeymoon, they returned by horseback immediately after the ceremony to Sweden. Amazingly, it is recorded that the young couple raced their horses home in record time, 180 miles in one full day without stopping. Once back in Sweden, Samuel Nevers began building a stately, elegant home in tribute to his wife, to replace the log cabin of his bachelorhood. The house still stands today, in very good condition. The Nevers home as it stands today in Sweden, Maine (thanks to Christine Morrill, a descendant, for supplying the photos of the house). 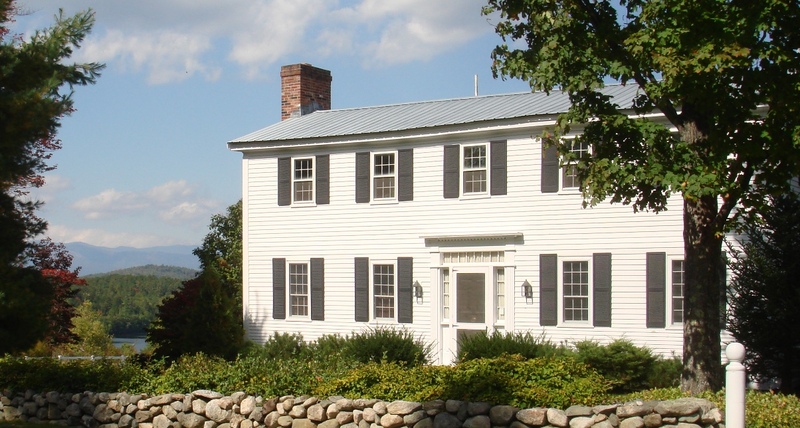 It was built in tribute to Col. Nevers’ wife Esther, and was considered to be quite luxurious in its day. The mountain views from the home are stunning. All the wood (including the clapboard siding) was logged and milled on site by Col. Nevers. Meanwhile Nevers was not shy about expressing his love and admiration for his wife, at a time when culturally speaking, Yankees were not given to overt displays of affection. He loved her for her adventurous spirit, her hardiness, and of course as the mother of his six sons, three of whom survived into adulthood and some of whose descendants still live in the area today. Esther preceded him in death by 20 years, and he was consumed by grief, calling her his equal. In his memoir he wrote that his wife was his true partner in life and when she died at the age of 71, half of himself was gone. Col. Nevers became a State Representative for Sweden, serving several terms, and was instrumental in the vote for Maine to separate and become an independent state from Massachusetts. 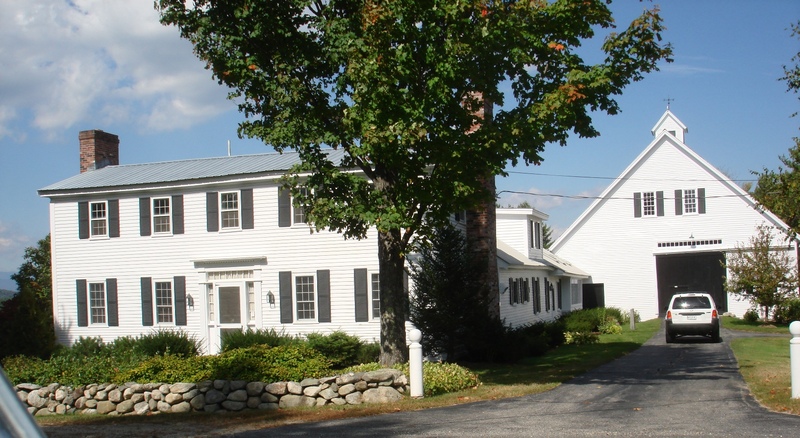 He was also the town’s first surveyor, and built its first roads and bridges; he also built Sweden’s first schoolhouse, church, and meetinghouse, all of which he donated, in addition to a sawmill, which his children later operated as a family business. He was 91 when he died, survived by his 3 sons, grandchildren and great-grandchildren, all of whom lived nearby. He is buried next to his wife at the tomb whose wooded pathway we spotted peeking out from the road. 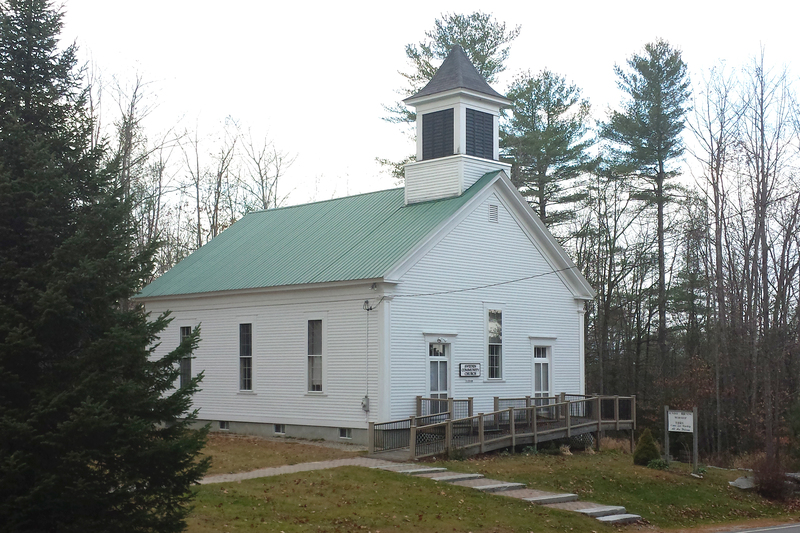 The church that Col. Nevers built and donated to the town, still in use today. You can read the memoir of Nevers as written by his grandson William in 1858 by clicking here. 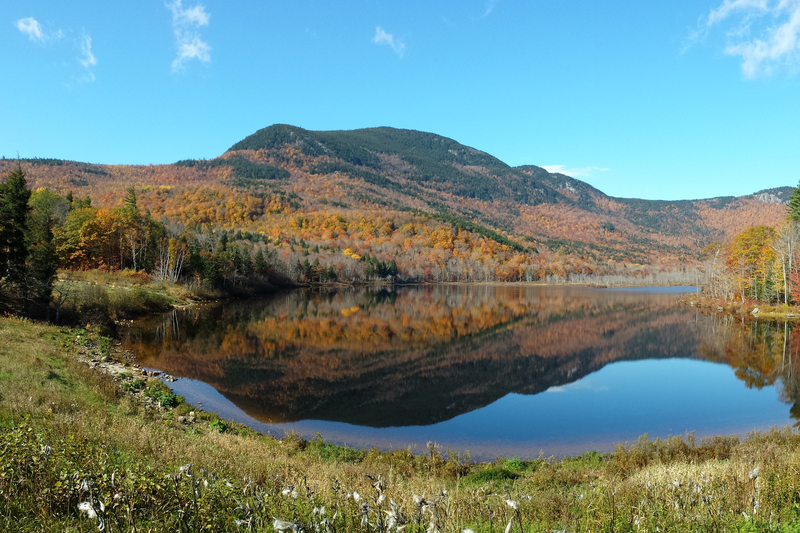 2013 has arguably been one of the most amazing autumns on record here in the White Mountains. 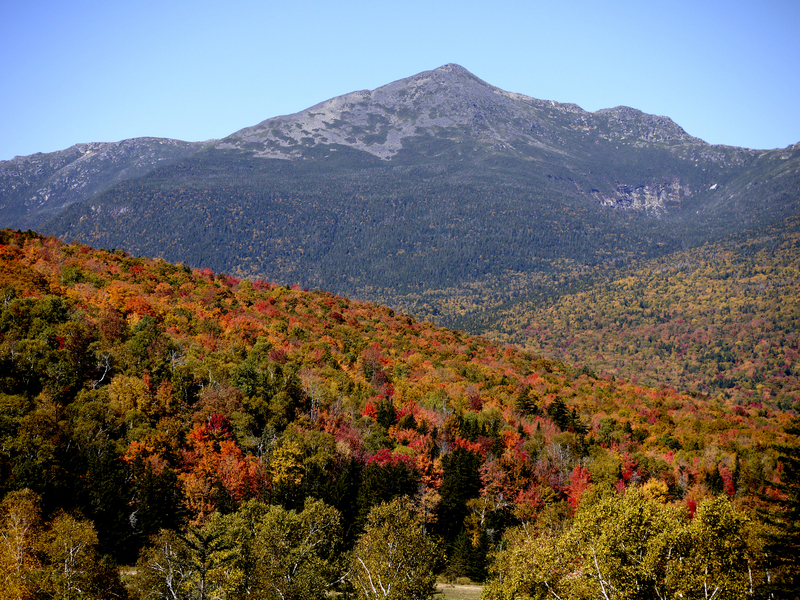 The success of leaf peeping is based on two factors: intensity of color, and the amount of leaf drop. 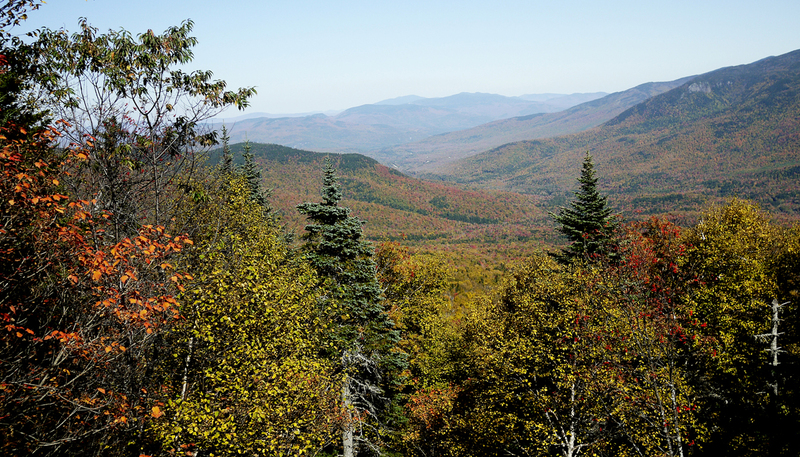 You can have gorgeous color, usually precipitated by warm days and cold nights; but if there is wind or rain, it might cause most of the leaves to drop from the trees, thereby hastening the end of leaf peeping. If the nights are too warm, or it’s too cloudy during the day for prolonged periods, the colors will be blah. 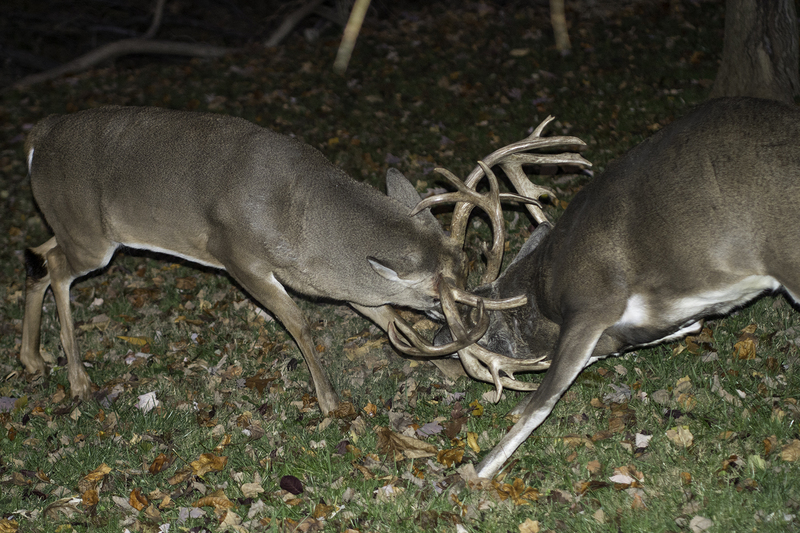 October was unseasonably warm and clear, yet the nights were cold enough to help with leaf coloration. 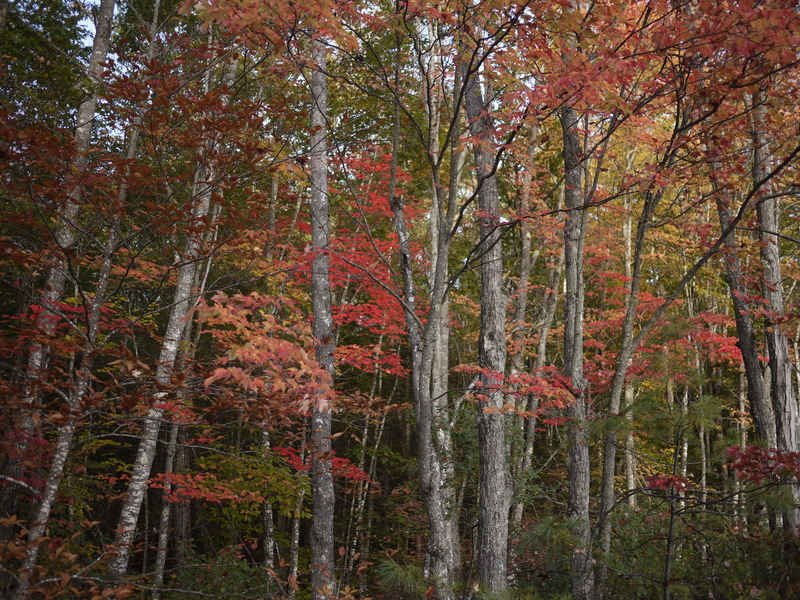 Unusually, there was almost zero rain and no wind – -which meant the leaves “aged” on the trees and changed from their full gamut of green to red to orange to gold and yellow without any noticeable thinning. 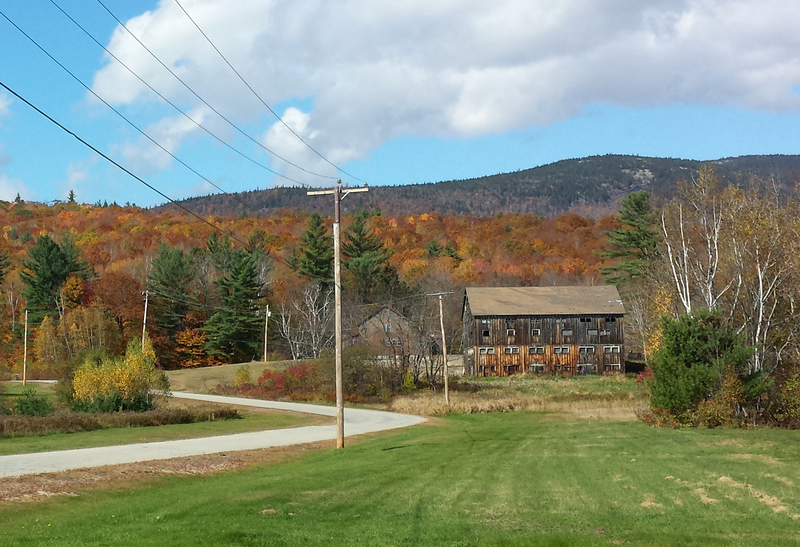 Another factor in my favor was that I was able to return to Maine a few days before the colors changed. This year, the Jewish holidays (Rosh HaShana, Yom Kippur, Sukkot and Simchat Torah) were “early” relative to the Gregorian calendar. 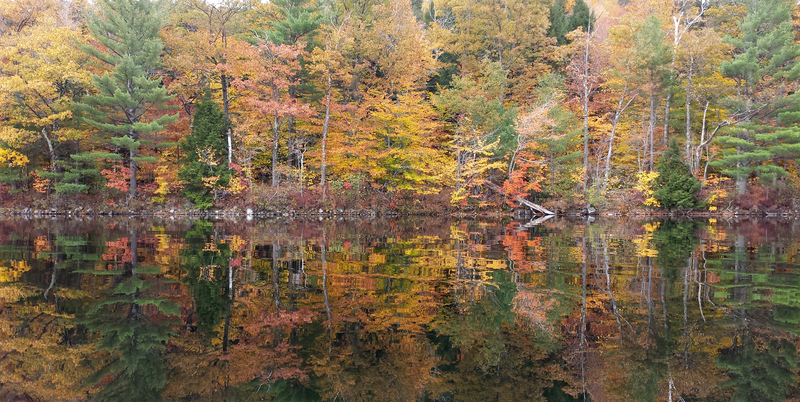 Usually I return to Maine around mid-October, when the colors are well past their peak; this year I was back at the end of September. What a difference, color-wise, those two weeks makes! I was hoping for an especially colorful autumn this year because not only would I be here for its entirety, I was also entertaining guests from Israel. Historically, the Land of Israel had been covered in deciduous forests and woods, but through the centuries various conquerors – – Romans, Crusaders, Turks – – had decimated its forests, leaving the land bare. What American Jew who went to Hebrew School or Sunday School in the 1960s and 70s, doesn’t remember donating a few coins into a little “pushka” (charity box) from the Jewish National Fund every week? The money raised would go to reforesting Israel, transforming the barren land green. While the program was largely successful, the JNF almost exclusively planted a single type of scrawny non-native pine tree, which was drought-resistant, could survive in poor soil, and grow quickly. What they didn’t realize is that it is a fairly short-lived tree, and useless for fuel or lumber. Today Israel still must import all wood products, and the oaks, cedar, ash and cypress of Biblical times is extremely rare. (More common are fig, olive, palm, acacia, and the above-mentioned non-native pine trees.) Because of the abundance of evergreens and the dearth of deciduous trees, not to mention the mostly-warm autumn season there, fall colors are unknown in Israel. Therefore it was a special thrill for my Israeli visitors to experience the change of colors in the White Mountains. HaShem was good to us. Not only did we get wonderful colors, but there wasn’t a cloud in the sky and it was unseasonably warm. We rode to the top of Mt. Washington on a day with 100-mile visibility and almost no wind (nearly unheard of for Mt. Washington, which is home to the country’s wickedest weather). The entire coloration process is nothing short of miraculous, really. 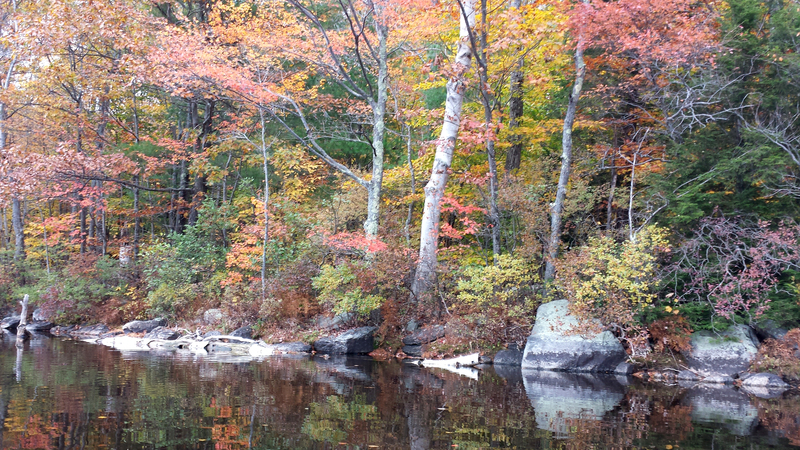 While scientists understand the process of fall color, the reason for it remains unclear, despite many theories. Truly autumn is a beautiful gift to us from The One Above.